We had a busy, busy weekend and now have the MLK holiday or what used to be Lee-Jackson Day in Virginia. Though Hubby doesn’t get a holiday as his company only gives a few holidays like Memorial Day, Fourth of July, Labor Day, Thanksgiving and Christmas. 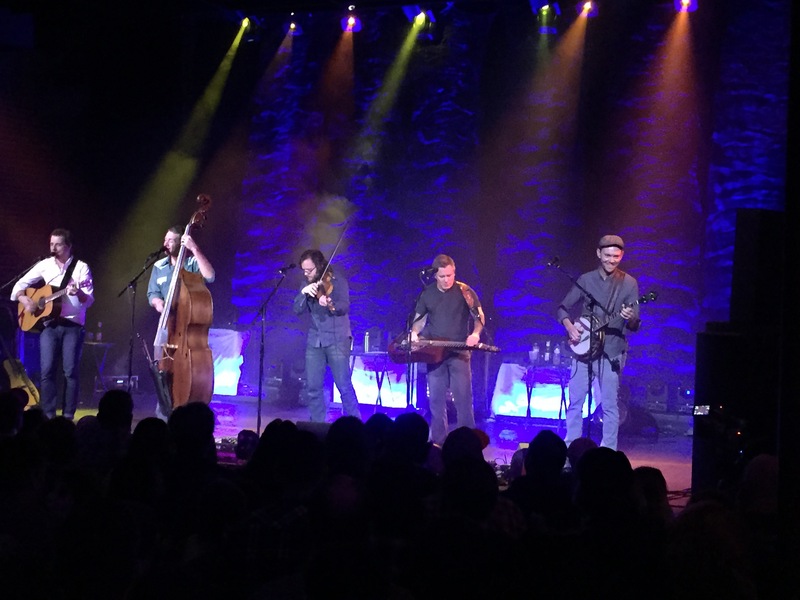 So Friday night we saw the Infamous Stringdusters, a favorite bluegrass band at the State Theatre in Falls Church. Another fantabulous night of music. 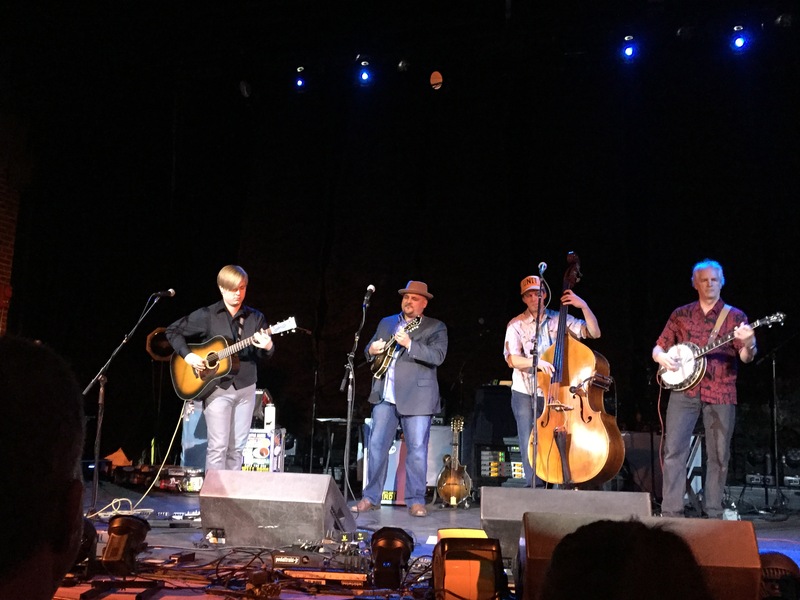 Frank Solivan and the Dirty Kitchen Band opened who we saw last year at Merlefest. Great band also! Highlights for me were opening with Lovelight, then in the second set Scarlet Begonias, Let it Go and Cripple Creek. 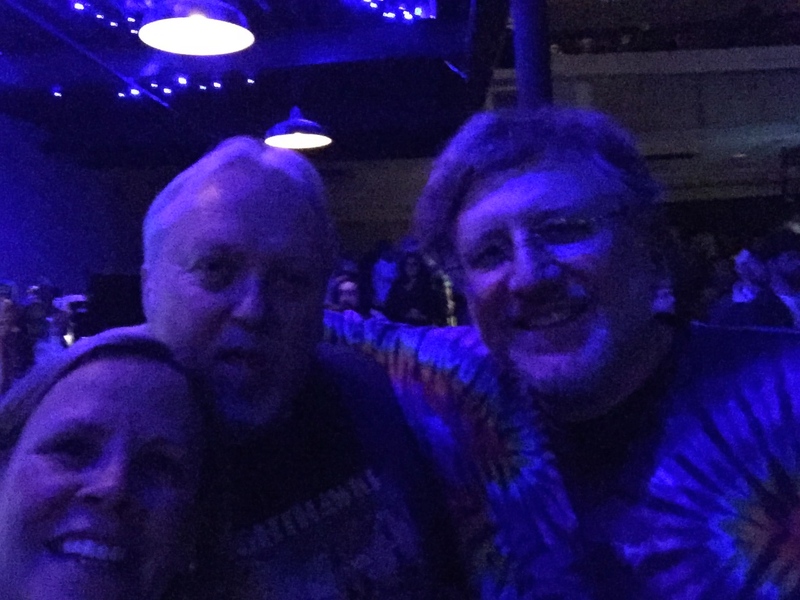 Met up with some longtime friends we hadn’t seen in a while for the show. And we met some new folks while hanging. I ended up as the DD, and we headed home around 1:30am which made for a late night for this old lady. Here is the setlist:01 Lovelight, 02 GDTRFB, 03 In God’s Country,04 Starry, 05 LLD jam>Y2k, 06 Fearless, 07 Blockygrass, 08 Angeline *, 09 Blue Night *, Second set 01 Jam>Hitchhiker, 02 Hey You, 03 All I can Take, 04 Mountain Town, 05 PBD, 06 Scarlet Begonias>OMB, 07 Colorado,08 Red Fox,09 Let It Go,10 Pioneers, 11 Echoes,12 Cripple Creek>Machines, 13 Head over Heels. * Frank Solivan set in. These guys opened strong and set the mood for a great night. During the Stringdusters they were walking around and enjoying the show. And towards the end of night, here we are hanging with friends and taking a selfie. Saturday ended up pretty quiet, lots of time in the kitchen, cooking breakfast, baking cookies to send with ben-jammin’ back to school, and then dinner. Sunday, we made the round trip to Radford to take ben-jammin’ back for his second semester. He was so ready to go and get back to school, friends, the dorm, just away from us! The trip started out miserable as it poured down a cold rain until we got out west on I66. Then it turned into a pretty nice day. We literally dropped his stuff in the dorm room, went out to eat lunch, stopped to buy him some bottled water, and dropped him off=about 2 hours in town. As the great hovering mom that I am, I so wanted to help him unpack and organize his room. Didn’t happen! He wasn’t wanting any help. So after a big hug good bye, off we went, back up the road to NOVA. The entire trip took about 10-11 hours. So today, I have to get my retirement papers completed. Announcement at work coming this next week! This entry was posted in Uncategorized and tagged music, retirement, shows by candyt9. Bookmark the permalink.